Hello Frostfans! It’s time for end-of-month book club discussion of The Grave series by Darynda Jones. 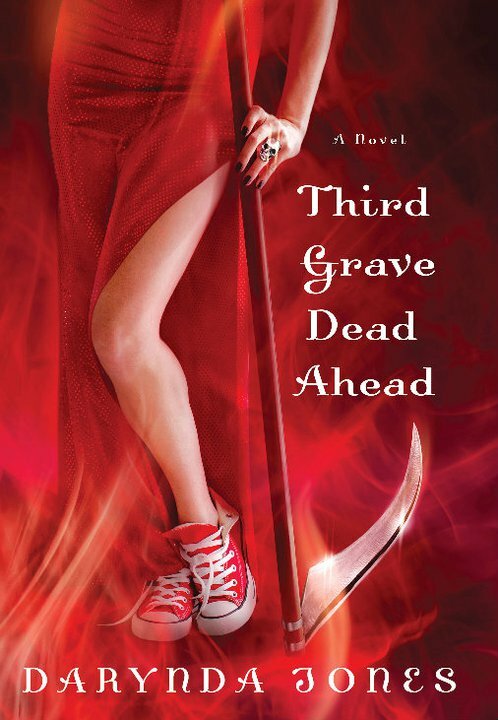 During December book club, we explored the first two books in the series and decided to hold off on the end of book discussion until Third Grave Dead Ahead released in February. Next Sunday, February 19 between 1-3 pm, PST, we will have our discussion. Are you dying to find out what happens with Charley and Reyes?? At the end of Third Grave, are you still swooning over Reyes or are you with Charley and pretty ticked off? 1. As the story has progressed, how has Charley grown/changed? How about the people around her? 2. Over all three books, what has Charley learned is important to her? 3. People either love or hate Charley. Why do you think that is? 4. Are you satisfied with how things ended with Garrett? Donovan? Reyes? 5. Predictions, where do you think the series will go from here? In addition, I will be peppering in Darynda’s answers to your questions! Please drop in next Sunday here to discuss our favorite grim reaper, Charley and her hotter than Hades love interest, Reyes. Hope to see you there! NOTE: we are assuming that you have read all three books for this discussion. Please be warned that there will be spoilers. Also, to participate, membership is required.